The Committee received a briefing on proposals to make amendments to the Western Cape constitution. 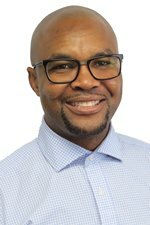 The Department of the Premier reported that various comments were received on the amendment Bill via an email directly to the provincial parliament and through an online public participation platform – www.dearcapetown.co.za. An analysis of the dearcapetown.co.za website showed that 3373 people did not support the amendments, 487 responses did not fully support the amendments, while 35 responses supported the amendments. The Department indicated that the provincial constitution would be aligned with various amendments made to the national constitution to avoid inconsistencies and difficulties with interpretation with regard to subjects like membership of the provincial parliament (section 106 national constitution vis-a vis section 15 provincial constitution); calling dates for election (section 108 national constitutions vis-a vis section 17 provincial constitution); Money Bills (section 120 national constitution vis-a vis section 30 provincial constitution); intervention in local government (section139 national constitution vis-a vis section 49 provincial constitution); taxes (section 228 national constitution vis-a vis section 59 provincial constitution); and loans (section 230 national constitution vis-a vis section 63 provincial constitution). With regard to the appointment of the Commissioner for the Environment, the Department of Environmental Affairs and Development Planning (DEA & DP) indicated that national legislation and provincial legislation provided adequately for the protection of the environment, and the filling of the vacancy was not desirable because it would involve an overlap and duplication of roles and functions provided for in the national legislation; would not address governance gaps; and would consume scarce state resources. It said since the assenting to of the provincial constitution, many laws aimed at integrated environmental management and governance, including coordination and administration oversight, were enacted. The DEA & DP reported these laws contained clear provisions that governed regulatory processes related to development planning and environmental management. In addition, these regulatory processes included the requirement for public participation; involvement of specialists or scientists; appeal provisions; and compliance and enforcement. These regulatory processes existed regardless of whether a Commissioner was appointed and he/she would not replace or substitute the subsequent decision-making processes. Members wanted to know how the Department of the Premier got the information it presented because it belonged to the committee and even the Parliament was not in possession of it; asked who done the consultations if it was indicated that 3373 people misunderstood the process of what the Bill was about; and wanted to know if the amendments were supporting the fuel levy. Some further remarked that the refusal to appoint the Commissioner for the Environment was against the majority views heard during the public participation processes and those who drafted the provincial constitution because basic motivation for the appointment of the Environmental Commissioner was to protect the environmental assets that were unique to the province and tourism sector, and it was argued this would be an impartial and independent person who would be outside of the government executive. Ms Clara Williams, State Law Adviser, Department of the Premier, informed the Committee the purpose of the Bill was to amend the provincial constitution in order to align it with the amendments that have been effected to the national constitution, and to repeal the provisions relating to the Commissioner for the Environment. Various comments were received on the Amendment Bill via an email directly to the provincial parliament and through an online public participation platform – www.dearcapetown.co.za. She reported that the dearcapetown website had provided its own summary of the amendments by painting a positive public participation process, while on the other hand the summary provided misinformation by stating the amendments relating to the Money Bills and taxes were giving the Western Cape government the right to impose additional charges or taxes on the citizens of the province; and the intervention in local government was giving the Western Cape government the same powers as the national government by empowering it to appoint an administrator. This was incorrect. 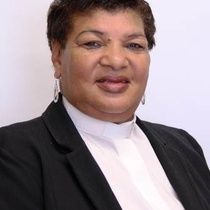 She further stated the dearcapetown website showed that 3373 people did not support the amendments, 487 responses did not fully support the amendments, while 35 responses supported the amendments. The provincial constitution would be aligned with various amendments made to the national constitution to avoid inconsistencies and difficulties with interpretation with regard to subjects like membership of the provincial parliament (section 106 national constitution vis-a vis section 15 provincial constitution); calling dates for election (section 108 national constitutions vis-a vis section 17 provincial constitution); Money Bills (section 120 national constitution vis-a vis section 30 provincial constitution); intervention in local government (section139 national constitution vis-a vis section 49 provincial constitution); taxes (section 228 national constitution vis-a vis section 59 provincial constitution); and loans (section 230 national constitution vis-a vis section 63 provincial constitution). Mr Ayub Mohamed, Chief Director for Environmental Governance, DEA & DP, briefed the Committee on the repeal of the Commissioner for the Environment. The Commissioner for the Environment has never been appointed since the provincial constitution was assented to on 15 January 1998. The cabinet granted in principle the approval for the draft Bill on the Commissioner for the Environment between 2001 and 2002. A Bill was produced by the Departments of Environmental Affairs and Cultural Affairs. Between 2005 and 2007, the Standing Committee of Community Development was briefed on the status of the Commissioner. The then Minister of Environmental Affairs and Development Planning prepared a cabinet memorandum to request the suspension of the establishment of the Commissioner. The DEA & DP requested the de-listing of the Commissioner for the Environment as a Schedule 3C public entity. Then in 2009, the DEA & DP requested a legal opinion, against the legislative reforms that occurred, on the desirability of appointing the Commissioner. The opinion of Adv Farlam indicated it would be preferable to amend the constitution to permit the appointment of the Commissioner when it was appropriate or desirable to do so. It was then that the amendment of the Western Cape constitution proceeded. In September 2010, the constitution of the Western Cape Draft First Amendment Bill (2010) was published, and it brought about certain technical amendments to provisions relating to the Commissioner of the Environment and Children’s Commissioner by making their appointments to be the discretionary of the premier. Between 2010 and 2013 the consideration of comments was received and the Special Cabinet Constitutional Review Committee was established during this time. The Bill was introduced to the provincial parliament during October 2014. In February 2015, the provincial parliament published the Bill and conducted public hearings. Four opposing comments were received. The parliamentary legal advisor provided a legal opinion which indicated the discretionary approach should not be supported and the Commissioner should rather be excised if the constitution was to be amended. In July 2015, the Bill was, in terms of Rule 160, withdrawn to conduct further analyses and develop appropriate policy for the Commissioners of Children and Environment. The analysis that was done to determine the status of legislation since the 2009 Farlam Opinion confirmed that duplication existed that rendered the Commissioner discretionary. During 2016 and 2017, a decision was taken to separate the Children’s Commissioner and Environmental Commissioner. Cabinet approved the Bill which brought about certain technical amendments to repeal the provisions relating to the Commissioner of the Environment. 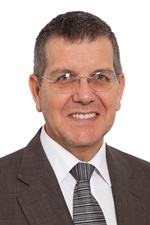 The Draft Bill was published in January 2018 for public comments, and in September 2018 the provincial parliament published the Bill for public comment and referred it to the Standing Committee on the Premier and Constitutional Matters in accordance with Standing Rule 171.
the commissioner must act in accordance with the principles of co-operative government and intergovernmental relations referred to in Chapter 2. Mr Mohamed further informed the Committee there were 936 comments received from the public participation process regarding this matter and were submitted via dearcapetown.co.za and directly to the provincial parliament. What came out was that in terms of the constitution, planning was a function shared by all three spheres of government, and environmental management was a concurrent national and provincial mandate. The powers and functions of a Commissioner for the Environment would not influence the implementation of this concurrent mandate. Not having a Commissioner for the Environment would neither contribute to increased centralised decision-making, nor provide national government with any additional powers and functions relating to environmental matters in the Western Cape. He indicated many of these Acts contained clear provisions that governed regulatory processes related to development planning and environmental management. In addition, these regulatory processes included the requirement for public participation; involvement of specialists or scientists; appeal provisions; and compliance and enforcement. These regulatory processes existed regardless of whether a Commissioner was appointed and he/she would not replace or substitute the subsequent decision-making processes. Therefore, the Commissioner would be duplicating the regulatory tasks being undertaken by other government departments both nationally and provincially. Members of the public, it was pointed out, could further approach the relevant Parliamentary Standing Committee (as an independent political oversight body) to voice their concerns and could also approach the Office of the Public Protector who has wider powers and functions (compared to the Commissioner) to investigate complaints. These structures and mechanisms were currently in place to facilitate public recourse related to environmental matters. Mr Mohamed concluded that the national legislation and provincial legislation provided adequately for the protection of the environment, and the filling of the vacancy was not desirable because it would involve an overlap and duplication of roles and functions provided for in the national legislation; would not address governance gaps; and would consume scarce state resources. It was further argued issues raised during consultations were not matters the Commissioner for the Environment would have the power to deal with. Potential public recourse options for the Commissioner for the Environment would be limited as there was no remedial provision other than to investigate complaints in respect of environmental administration. The Commissioner for the Environment would not have any power to investigate any complaints against national government; and the Commissioner for the Environment would not be a decision-making body regarding environmental authorisations, nor would it be an appeal body. Mr P Uys (ANC) remarked he did not know how the department got the information it presented because it belonged to the Committee. The presentation of the Department was supposed to reflect on the public participation processes followed on the legislation and present this to the Committee so that it could be taken to parliament. He wanted to know who gave the Department information which even the Parliament was not in possession of. Ms Anita Vosloo, Principal State Law Adviser, explained the comments they presented were on the public website of dearcapetown.co.za. They analysed the comments to prepare the Committee in going forward. The comments were sent to them, but the Department was not aware the committee did not have them. She said it took them a couple of weeks to go through the comments. Ms Williams added that dearcapetown.co.za was a public website for people to make comments. The Department had no control on the information submitted to the website. Ms D Gopie (ANC) asked who done the consultations if the presenter indicated that 3373 people misunderstood the process of what the Bill was about. Ms Vosloo stated that people responded via text messages and emails, and the Department had no control over their chosen form of communication and content of the website. The extract they received from the information was that the province was imposing a provincial tax to the public. The main thing was to align the wording to that of the national constitution. This was not a new power. Mr Uys wanted to understand if the information was also accessed from the DEA and office of the premier, and why the figures were put under consultations if there was no consultation. Ms Vosloo said people had free access to the website to make comments because it was meant for the public. They got information from the website and provincial parliament. Ms Williams added that the dearcapetown website had different sections people could comment on. You could even see the number of people who have commented and it provided a summary. The information on the website did not come from the office of the premier. Mr Uys wanted to know if the amendments were supporting the fuel levy. He further remarked it was wrong for the Department to have information from Parliament that the Committee did not have. The Department was supposed to brief the Committee on the first part of the process of gathering comments. Mr R Mackenzie (DA) said the fuel levy matter was discussed before in another platform and was not part of the Committee. Ms Vosloo indicated she did not have information on fuel levy to be imposed and the matter should be referred to a relevant committee. She further stated the comments from the dearcapetown website were submitted to Parliament. Mr B Kivedo (DA) commented that this was a qualitative matter and wondered if the Committee should respond to formalised documents. The main thing was how people were made aware of the piece of legislation under discussion. The Chairperson said Parliament would embark on its own public participation process. 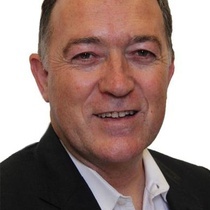 Mr Uys remarked that to say the establishment of the office of the Environmental Commissioner would be a duplication of functions and roles and consumption of scarce resources was incorrect because the commissioner would be looking at the governance of environmental matters in terms of regulations; a place where people would lodge complaints; a place where all the problems affecting people environmentally would be reported to, whether it was health, housing, water and sanitation, etc. He said this was a cross-cutting portfolio that must be created by the premier for the administration of the environment because communities had the right to a safe and healthy environment. 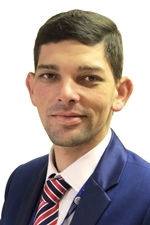 Mr C Dugmore (ANC) added the idea for the appointment of a Children’s Commissioner and Environmental Commissioner was drawn up by members of the legislature when the provincial constitution was drafted. The provincial constitution was then adopted and certified by the constitutional court. An amendment later was made for the appointment of a Children’s Commissioner and Environmental Commissioner, but to be discretionary. The majority of the submissions opposed the appointments of these commissioners to be discretionary. The basic motivation for the appointment of the Environmental Commissioner was to protect the environmental assets that were unique to the province and tourism sector. It was argued this would be an impartial and independent person who would be outside of the government executive. This would be an oversight unit. 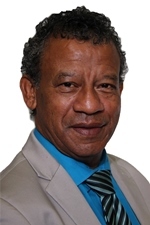 He was against the forwarded arguments that the appointment of an Environmental Commissioner “would be a duplication of functions and roles provided for in national legislation; would not address governance gaps; and would consume scarce state resources.” This was against the majority views heard during the public participation processes and those who drafted the provincial constitution. Mr Mackenzie maintained that those individuals who were against the appointment of the Environment Commissioner had their own reasons during the 2005 - 2007 period. The reasons advanced by the Department were correct because everything was covered in the national legislation, hence it would be a duplication of work and waste of scarce state resources to appoint an Environmental Commissioner. Mr Kivedo stated it has been said development has not been clearly defined in the Bill. He wondered whether the Department was looking at structural development or people-centred development which looked at how people live life and how development affects people’s lives. He added that rural development was critical. Mr Uys said the constitution was leading people to the environment because the environment needed to be protected and people had a right to a safe environment. The Environmental Commissioner had a significant role to play. Mr Mohamed stated they embraced the wider definition of ‘environment’ which was contained in the National Environment Act. The presentation focused on both development and environment and planning and environmental mandate. The presentation focused on the socio-econo-environmental context. The Chairperson took the committee through the document, page by page. Mr Mackenzie moved for the adoption of the minutes. Mr Kivedo seconded the motion. The minutes were adopted with no amendments. Ms Gopie proposed for the adoption of the report. Mr Kivedo seconded the proposition. The report was adopted with no amendments.